Back when I was still a beginner in the kitchen -- not that I think I'm a pro now, I'd always have a set of go-to recipes I can impress my family and friends with. 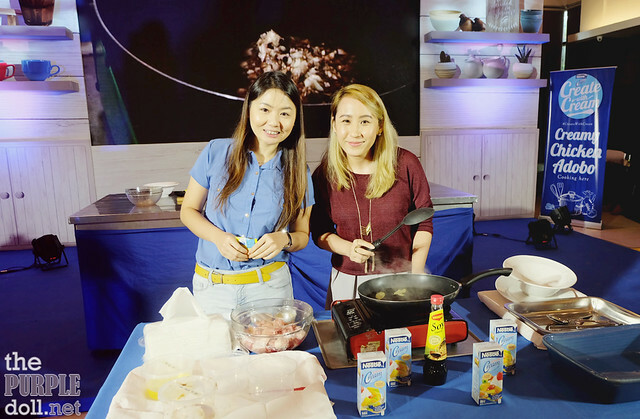 Some involved mere frying, but my favorites were ones which are actually very easy to make but doesn't necessarily seem so -- like my Pinoy-style carbonara and peach-mango refrigerated cake. And if you didn't notice yet, both of these easy-to-make recipes use Nestle All-Purpose Cream, which I actually grew up with, as this brand had never gone missing from our pantry. 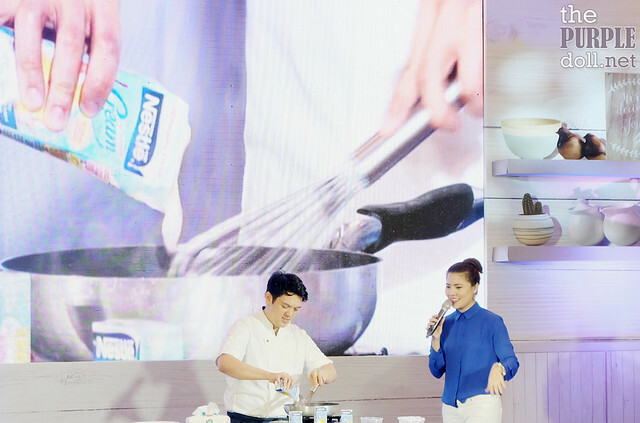 So of course, when I was invited for a creamy affair with Nestle, deciding was a no-brainer! I've always been amazed how Nestle All-Purpose Cream is so versatile. Back when I was still a kid in single-digit years, I grew up with Nestle Cream as an important ingredient to desserts. Whether we're making a special fruit salad, buko pandan or cake, there had to be cream! As I grew older though, I got introduced to the savory uses of this cream product. Be it in creamy pasta dishes, thick soups and meaty viands, there's always a place for Nestle Cream. 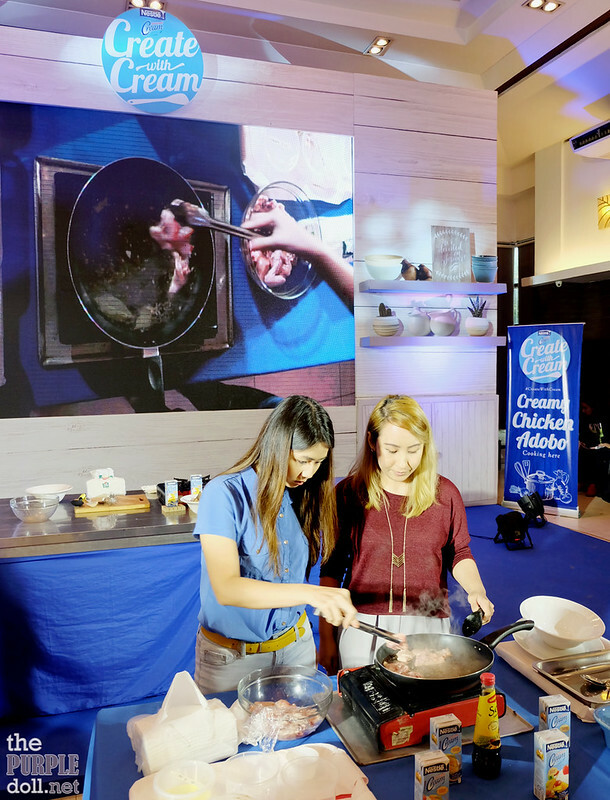 When I attended the #CreateWithCream event by Nestle last July 9, I knew I was in for an afternoon of not just eating, but also learning. 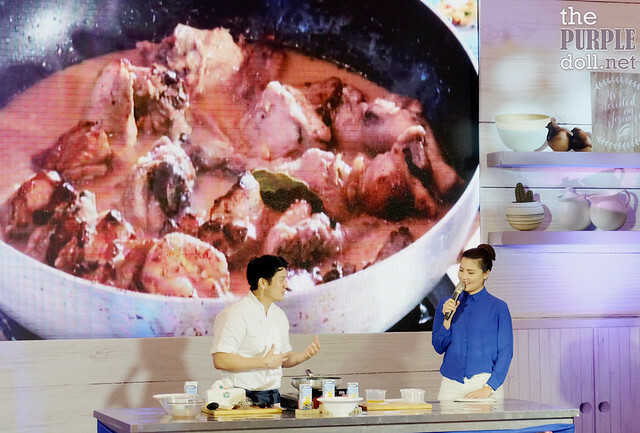 With Chef Rob Pengson as guest chef, we were taught how to make the all-time Pinoy favorite adobo, even more satisfying! Create the Creamy Chicken Adobo! Here's the full recipe. Some may have already experimented enough with their adobo to have tried making it with cream. 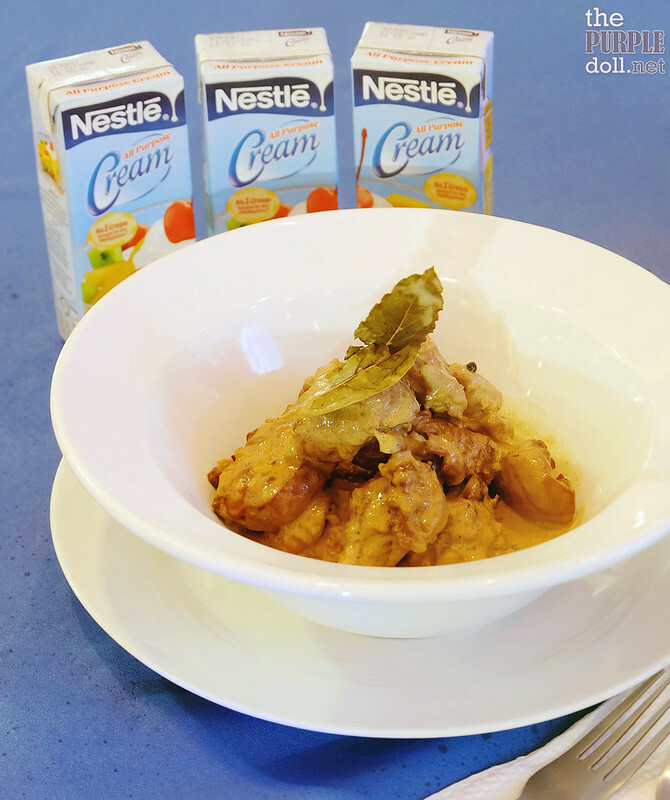 But for most of us who haven't yet, I encourage you to give the Creamy Chicken Adobo a shot! It may seem weird if you're not too adventurous with your food, but if you try it, I'm sure you'll love it! After Chef Rob's cooking demo, some of us from the audience got to try our hands at making the same dish. There's me and Berylle giving it a go. And we make a great team! Special thanks to Jane Chua for taking these photos. Being one of the most popular Filipino dishes of all time, I'm sure each household has their own version of adobo. Some have it sweeter kind-of-like-asado, some have it more pungent, some have it really spicy... 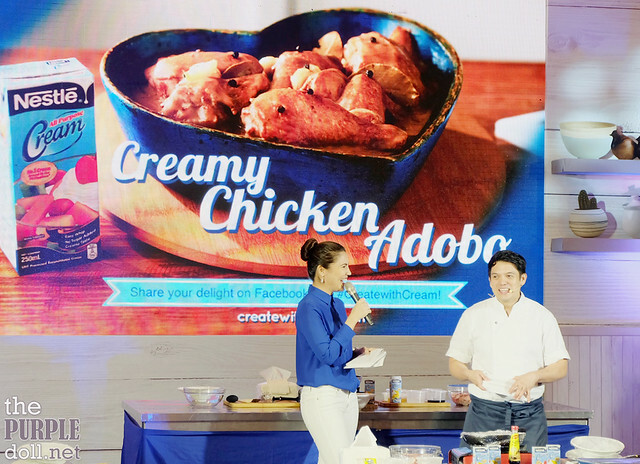 But whichever your version of adobo is, it's always nice to experiment and #CreateWithCream.